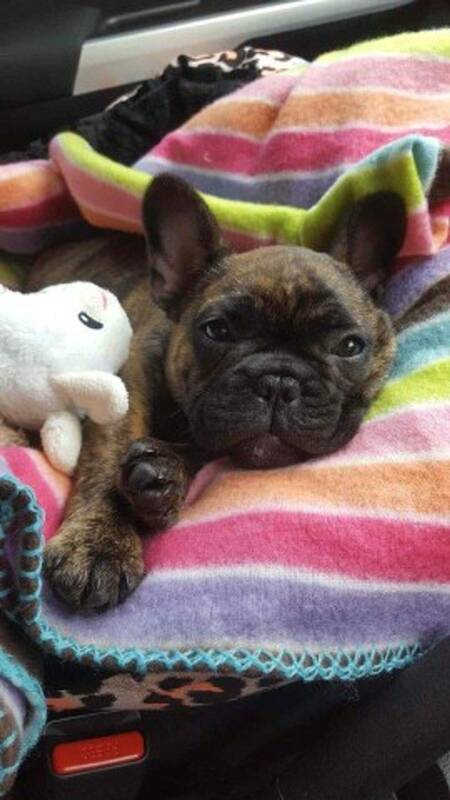 1.Thank you for your interest in one of our French Bulldogs. I am a registered breeder with 'Master Dog Breeder's and Associates'- # 12996. We aim to breed placid French Bulldogs. 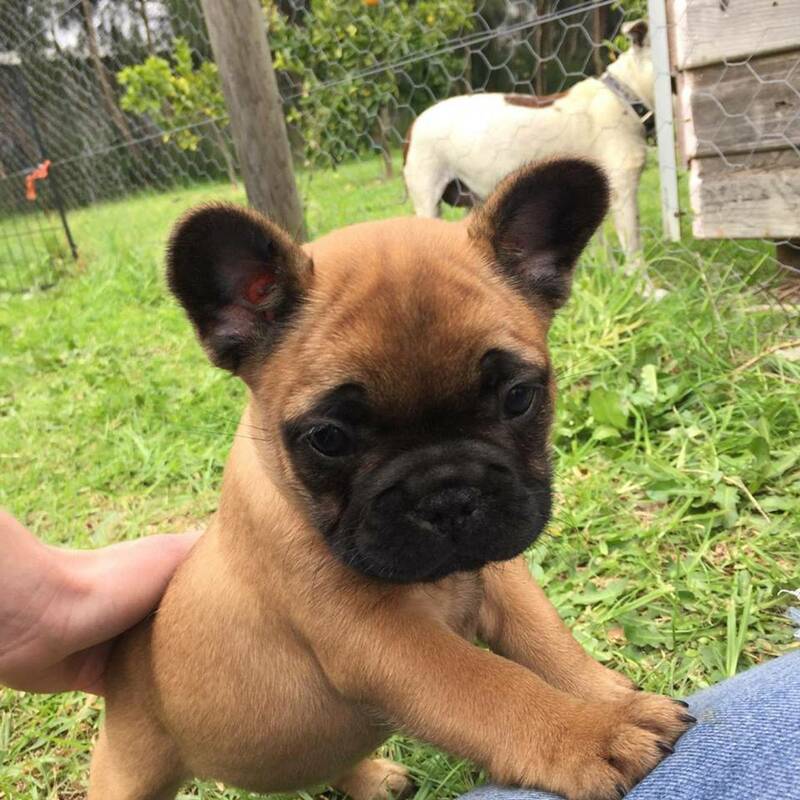 All our 'French Bulldogs' are DNA clear and all puppies will come registered with Limited ?pet quality puppies and will be DNA clear or mains registered papers under inquiry. . So these puppies can never develop any nasties as parents are DNA tested to ensure pups can never be affected. With over 20 years of breeding, we are responsible for producing loyal, affectionate and fun-loving pups! We focus on temperament,, health and sound body puppies. We have therefore developed a reputation of producing placid and affectionate, gentle, loyal dogs. We also offer interstate services travelling thru Jetpets or Dogtainers. Travel is available with drop offs at Sydney airport for additional charge! Specializing in coats of many colours including brindle (tiger brindle possible too- see photos of Enzo's pups), Blues and blue and tans, fawns (light and red fawn). All puppies are wormed every 2 weeks, are vaccinated at 6-7 weeks of age, Micro-chipped and insured for the first 6 weeks once they arrive in their new homes with Petplan puppy insurance! All pups come with limited registration papers with DOGSNSW. Limited registration means not for breeding or showing! Pups on limited will be de-sexed before they go to their new homes. Inquiries for main can be considered or pick of the litter price! Puppies leave for their new homes when they are 8-10 weeks old! A non refundable deposit of $1000 is required to secure your puppy. Full payment on pickup or before traveling if interstate!